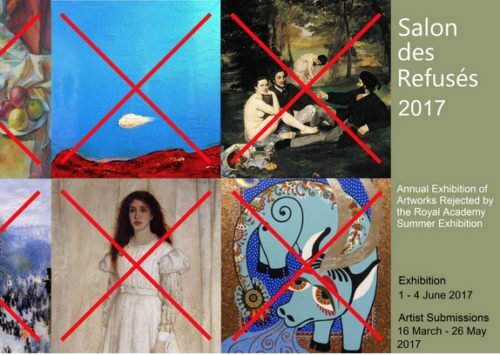 Updates about forthcoming exhibitions, etc. 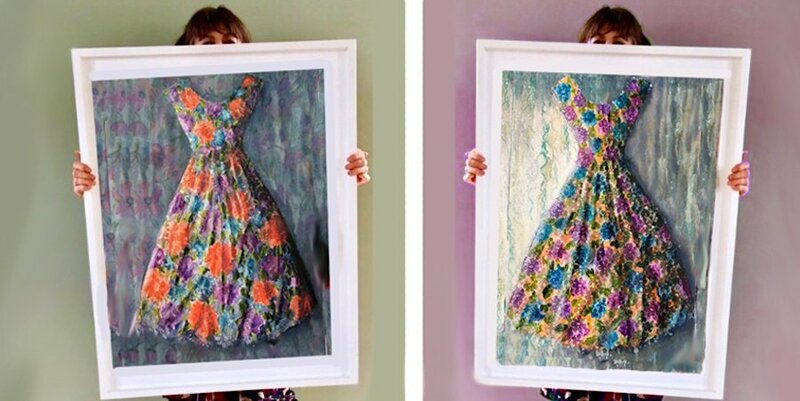 Two painting of vintage dresses selected for the Royal Institute of Painters in Watercolour 2019 exhibition at the Mall Galleries. 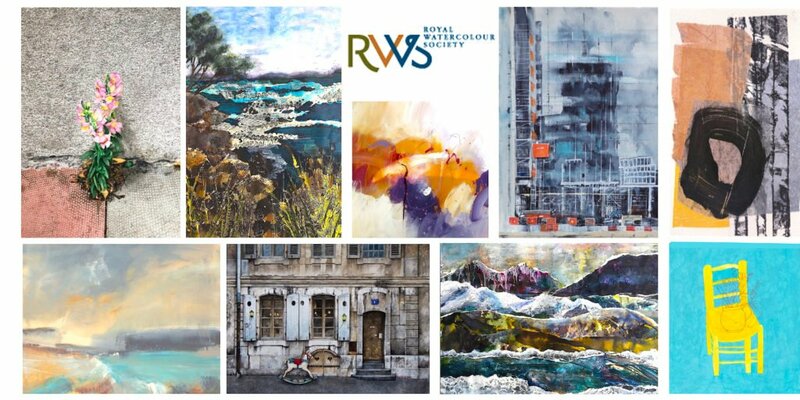 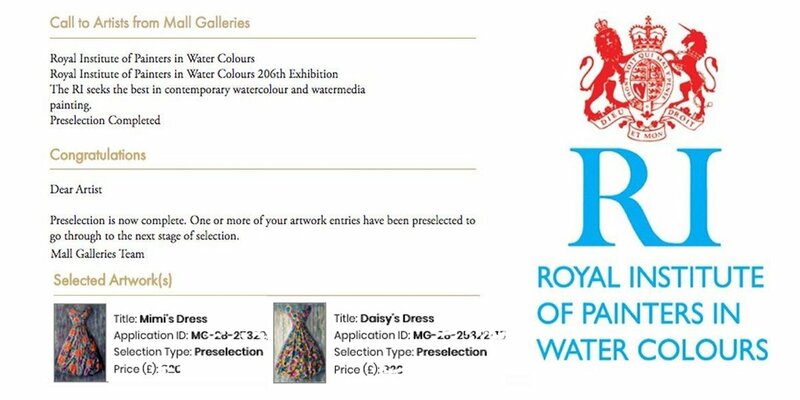 “Daisy’s Dress and Mimi’s Dress have both been pre-selected by the Royal Institute of Painters in Watercolours exhibition at the Mall Galleries in London. 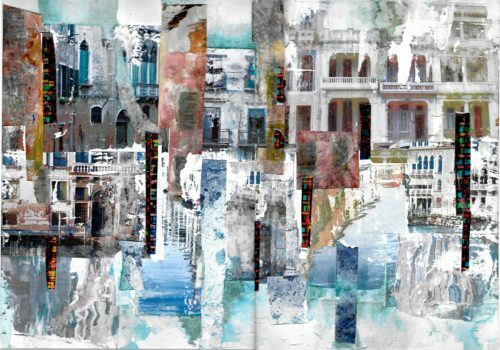 The collage is composed of fragments of some of my old paintings and tiny slivers of some of my digital prints and photographs of the cities, some of which I used as image transfers onto textured gesso to recreate the crumbling facades of many of the buildings in both Venice and Havana. 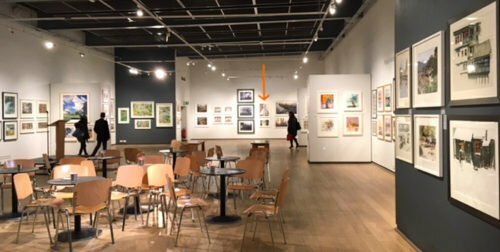 The Royal Institute of Painters in Watercolour exhibition is on at the Mall Galleries from 6-21 April 2018 and I’m very happy that my painting has been hung in a great location in the main gallery. 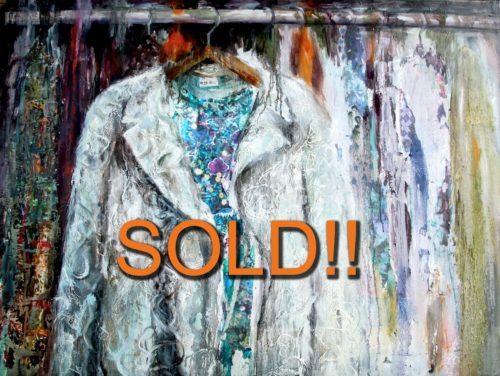 If you would like a complimentary ticket to see the show, just send me an email. 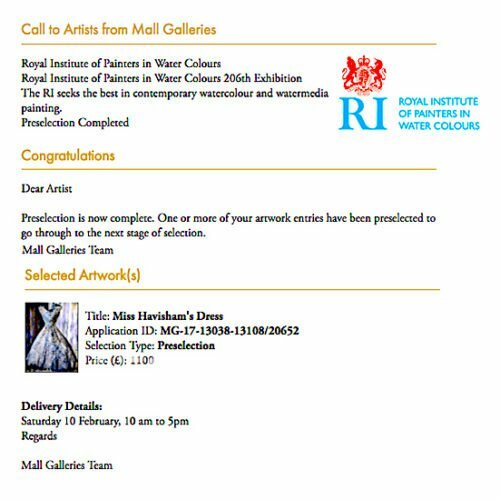 ‘Miss Havisham’s Dress’ has been pre-selected by the Royal Institute of Painters in Watercolours exhibition at the Mall Galleries in London. 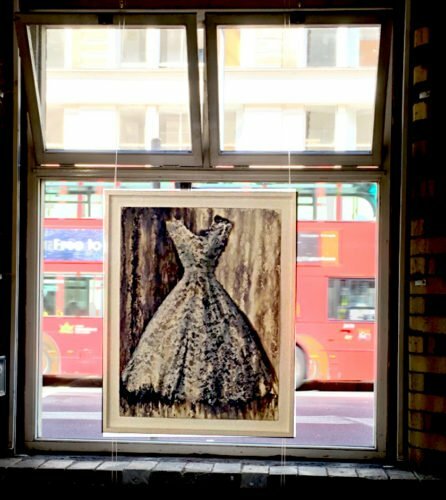 ‘Out of the Wardrobe’ has found a new home after being sold at the NOA17 private view last night. 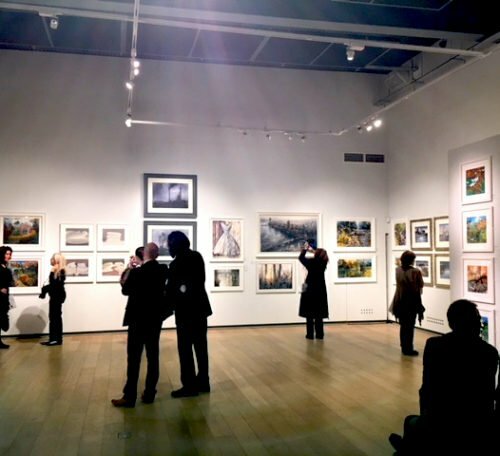 The exhibition is very well curated, with a great variety of work and spreads over several floors of the fabulous Bargehouse Oxo tower wharf, which is an ideal setting for the show. 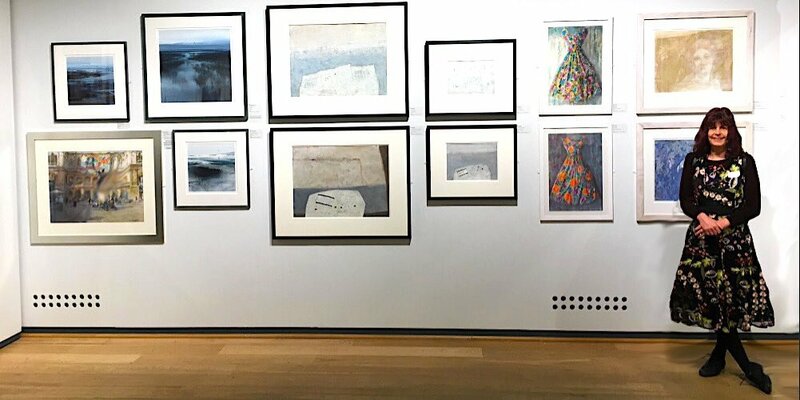 # Groundbreaking new artwork from the winners and shortlisted entrants of NOA’s 21st National Open Art Competition – a true reflection of the UK and Ireland’s top artistic talent – exhibited across nine main gallery spaces at Bargehouse, Oxo Tower Wharf. 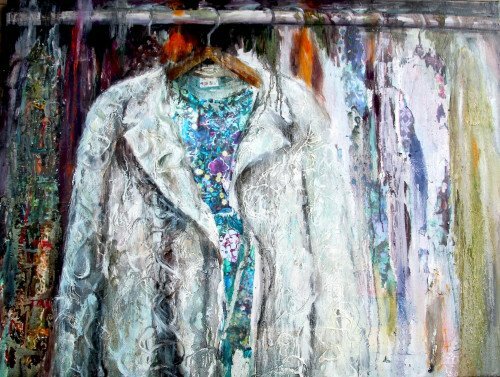 # The House of Fairytales – a one-of-a-kind immersive experience for children and adults. 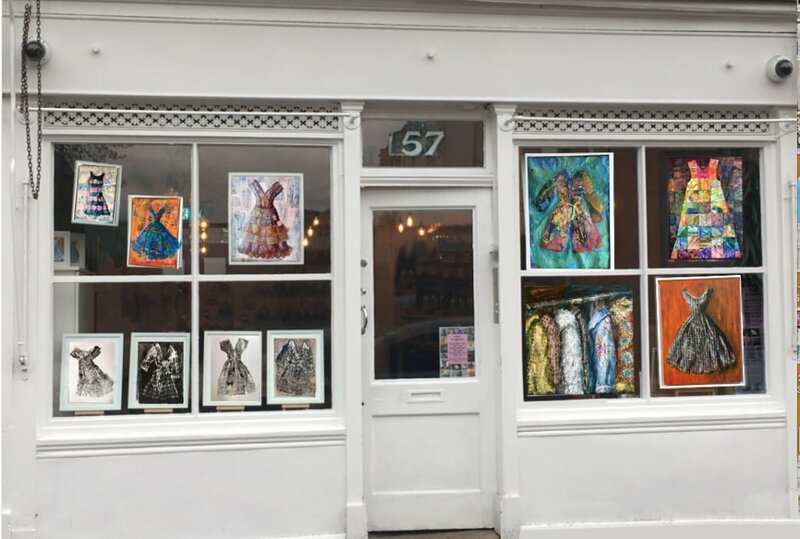 They’ll be screening their award-winning documentary feature film, Most Likely to Succeed, about the growing shortcomings of conventional education methods on Saturday 25th November. 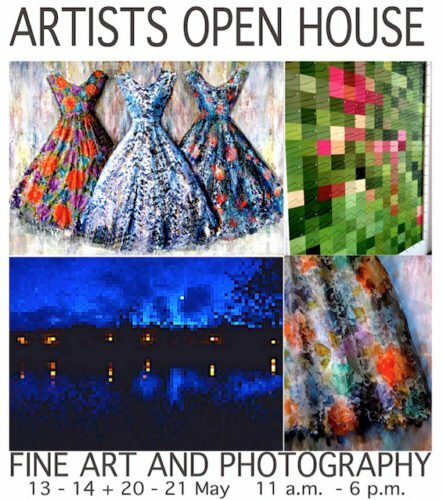 And throughout Sunday 26th, children will be able to make their own film for the House of Fairytales cinema – just book a ticket on Eventbrite and drop in to enjoy this unique creative experience.With all this plus five artists in residence in the Open Art Studio and more attractions to be announced, this is sure to be one of the highlights of the year’s art events calendar. 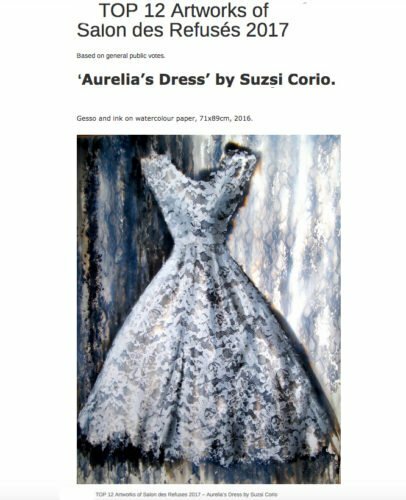 Aurelia’s dress was voted one of the top 12 paintings by visitors to the Salon des Refuses exhibition – many thanks to all who voted. 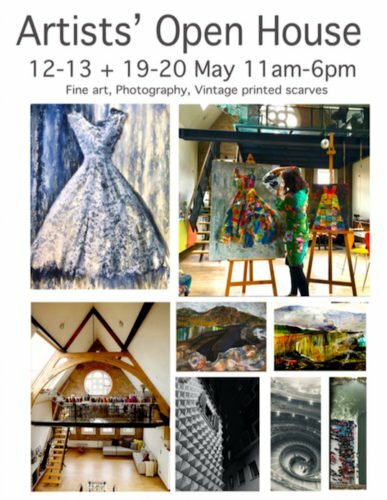 Do come along if you are in the area – should be fun!